“The Young and the Restless” spoilers for Thursday, May 5, tease that Abby (Melissa Ordway) will hurl another accusation at Max (Jared Breeze). After an alarm rang out in Wednesday’s episode, Lily (Christel Khalil) suspected Max and Charlie (Aidan Clark) were involved. We know that Charlie swiped the master key card so Max could gain entry to the office with the surveillance footage. In Thursday’s preview video, Abby informs Stitch (Sean Carrigan) that she thinks Max started the fire. It sounds like Max tried to torch the office in an effort to destroy the evidence. Max just keeps upping the ante. If Abby can’t get through to Stitch, Max’s crime streak could continue. Meanwhile, Marisa (Sofia Pernas) will finally pop up again. “The Young and the Restless” spoilers say Marisa will visit Victor (Eric Braeden) at the state pen. She’ll offer a stern warning about Luca (Miles Gaston Villanueva). Marisa knows better than anyone that Luca is a manipulative liar. She’ll want Victor to be aware of the extreme threat Luca poses. Victor will listen as Marisa suggests Luca is just using Summer (Hunter King). She’ll think Luca only wants to get his hooks into the Newman family. Victor seems to view Luca as a minor annoyance, but he should really stop underestimating him. Summer is letting Luca pull the wool over her eyes and this relationship probably won’t end well. Elsewhere, Luca’s lackey will pass along some urgent news. He’ll tell Luca that he isn’t going to like it. It’s not clear what this is about, but Luca will open up a large envelope. There’s bound to be unfortunate info inside. Whatever updates Luca receives could cause a real setback. Of course, Marisa’s chat with Victor won’t aid Luca’s mission either. Related: Are You Y&R Team Victor or Team Jack? VOTE! Luca has a scheme in play, but he’ll have to work hard to make sure it runs smoothly. One wrong move and Luca’s dreams of conquering the Newman empire will topple. 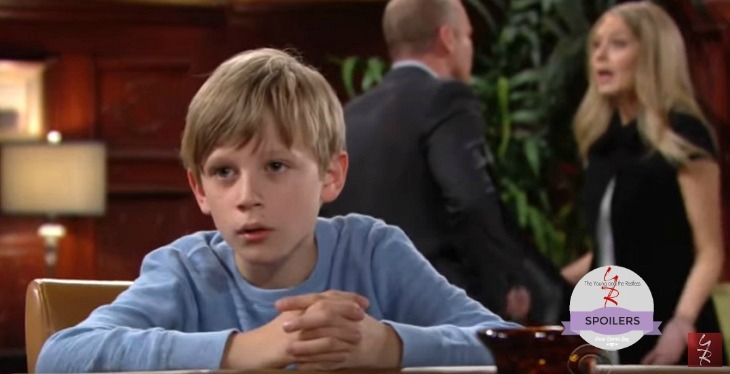 Y&R rumors hint that Summer could regret trading in sweet Kyle for slimy Luca. Stay tuned to the CBS soap to see what the future holds for Summer and her new beau.